Little Dragons Cafe is releasing for the Nintendo Switch next week, on 24 August 2018 and it has been quite a ride developing the game for both the Nintendo Switch and PS4. With the two consoles being so different in terms of power, it wasn’t always easy to make both versions of the game equal. 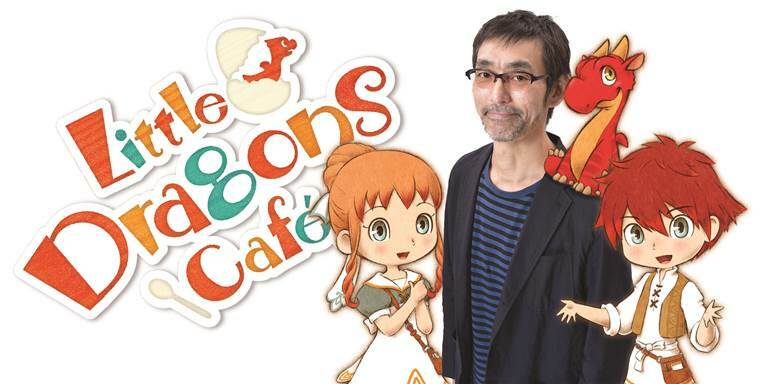 Speaking to Monster Vine, Little Dragons Cafe creator, Yasuhiro Wada, talked about how they have to downgrade a few things to make it technically possible on the Switch. However, players should experience no great differences in terms of gameplay between consoles. How has developing for both the Switch and PS4 been so far? Have there been many technical challenges? We first created the game for PS4 and PC, so we had to downgrade certain things for the Switch. We also re-arranged some play mechanics, so there are some improvements there. I feel happy that the Switch version’s gameplay has actually improved, even though we had to downgrade some things. In the case of Little Dragons Cafe, we had already started developing on Switch and PS4, so there were no specific difficulties. We used the Unity game engine, so it’s pretty much exactly the same on both platforms. You can read the full interview, which covers other aspects of the game, from Monster Vine here.